When it comes to Embedded systems – do you know who all are the leading players in this industry? Let’s have a look. Siemens – They make products in the field of medical electronics and automation industry.The products will be scanner, doppler, cardiograph machines, radiology machines etc etc.. its a big list. Bosch – They make products for automotive industry. I just mentioned 3 companies serving 3 different industries. There are thousands of other companies in the field of embedded systems – offering various kinds of services, consultation and product building. Now we got an idea of companies that can offer a job in embedded systems. Now lets take a look at who all can opt for a career in embedded systems. The basic requirements will be a graduation/post graduation in electronics. There are many such courses offered by various kinds of universities. I will say, easy entry is for engineering degree holders in different streams of Electronics engineering – like Electrical and electronics, Electronics and communication, Electronics and instrumentation etc. Other degree holders in electronics like Bachelor of Science (Electronics as main), Master of Science (Electronics) as main can also opt for a career in Embedded systems. Knowledge and skills required in these areas are- Good knowledge in theory and practical of one or two micro controllers like PIC, 8051, or AVR etc. Deep and sound knowledge in programming language C – especially embedded C. Knowledge in these 2 areas will help you to get an entry level job in the field of embedded systems. The real “learning curve” will only start at your first job – where you will deal with real issues and problem solving methods. After gaining much experience from the first job (may be a 2 years) you can always switch to big companies. The trend we see here in India is, freshers will boost their knowledge in these areas – especially in controllers and C programming by taking a good training after their graduation. The reason is an “outdated” and inefficient curriculum used by many universities in India. Even in an engineering course, there is only a single paper about microcontrollers. Most fresh graduates are unemployable in Embedded systems (unless some mavericks build their own way up learning all themselves). To supplement this, fresh graduates take 3 or 6 months additional training. This will help them to land at an entry level job, usually in a medium level company. They gain more knowledge at this job and later switch to bigger ones like Bosch, Samsung etc. The first job you take will have a very high influence on your career. 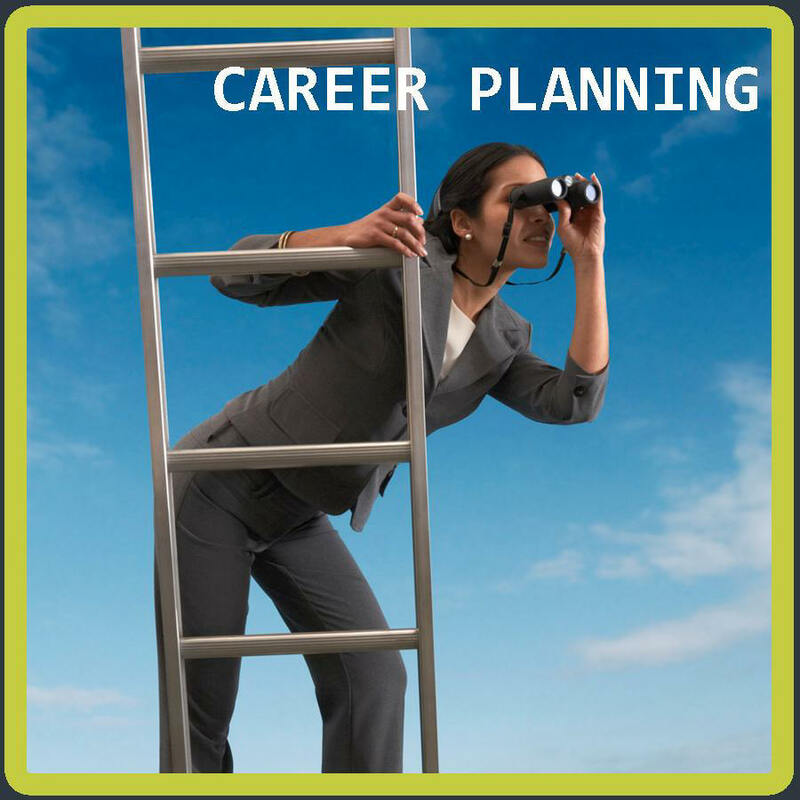 Example:- An employee working with a “Consulting type” company is likely to work his career in that direction. Where as a “Product based” company is a little different and they function in an entirely different way than a “Consulting company”. So be aware of your first job – what you learn there will decide the way your career is headed! I completed my BCA in 2018. Could I do some course in embedded systems? Would this be helpful for me? i have 3 years of experience in java technology. but i have very interested on embedded system. i done one small led light on and off project on beaglebone black at my home with friend help. can i have a chance to change my career from java to embedded? Embedded systems is having a large scope. It is one of the best careers options after engineering. Thanks for sharing this valuable information. I have done my B.tech in electronics and communication and now opted for M.tech in embedded systems ,but as I have no basic and deep knowledge of programming there is much difficulty I am facing in my starting semester.Sir please suggest me what should I do? this is prasad, i completed b.tech in the stream of electronics & communication engineering with aggregate of 60% . Mainly i got focused by your last paragraph stating “your 1st company will decide your way future is heading”. basically i’m working in IT consulting company but have completed by graduation in ELECTRONICS AND TELECOMMUNICATION and i do have keen interest in Embedded systems. i cannot able to make out that working in IT for a year and then after a 3\6 months course in Embedded systems and turning to a Embedded based company will my one year in IT company works will add something into Embedded based companies ??? i’m hari sekhar . i’m B.tech ece student.i want a core sid job to me .plz help me .we can go which type of oppurtunities in which ways on embedded systems. First i need to thank for such a nice article, it will be helpful for many. Sir, im working at a start-up as jr. Embedded engineer with 10 months experience. im planning to change the company after one year of experience because the company is a start-up, i gained knowledge on some protocols(UART, SPI, I2C..) and controllers(AVR, Arduino, 8051..). How to search for good companies and am i taking a right decision to change company. your suggestion will be very much helpful for me. I am joses here, I am M.Tech embedded system, 2015 fresher graduate with 9.64 cgpa through out the course. actually I have completed my b.e ece in 2010 with 77% then due to some financial commitments I went for IT job in HCL Technologies.In 2013 I resigned my first job and I came for higher studies. It s very hard to find fresher job openings in embedded systems.I am planning to join in crance software for training and placement.is it good to go for that institute? @jojo,I have completed be(ec) 2013.I have worked as telemerketer and technnical councellor.But I have interestd in embedded system.But i dont have that much of knowledge in c and microcontroller.I have to learn practically and theroticaly.Pleasegive me good guidence. who having good percentage throughout 70%/75% cranes Varsity Bangalore – this institute will be good to get more opportunities join itab batch in cranes ………Good Luck. Hello frnd,i’m in a confusion….let me tell u…now,iam doing b.sc.,electronics science and i’m confused of what to do after ug.u mentioned above that embedded systems engineer needs m.sc., electronics qualification….my college had that course…but i’m not interested to pursue that…because,it’s outdated and only marks oriented….can i pursue a pg degree in embedded systems….is that worth for that job?and my another doubt….where this course is best to study and where can i get jobs in india..? Hello , I m chinmai. I have completed my BE in telecommunications. I m currently working in TCS. Due to my interest in embedded systems. I applied for MS in US and got an acceptance from university of Rochester for embedded systems. How bright are career opportunities from me in this field in US with MS from University of Rochester? I am studying in ECE final year(GTU). I want trainning pupose job first for the experience. And also want to do more cource so please guide me which one is better for future and present situation. better to do embedded course.Epitome technologies Banglore,its one of the good institute in baanglore,coaching is good. sir/madam this hari krishna.i have completed my diploma in 2007 and incomplete undergraduate,and gap as came between 3 year.so please shows that my career to get good job in this field. so, I am electronics student. so please reply-soon . I’m a student of final year of 3years Diploma in electrical engineering. Could I do some course in embedded systems? Would this be helpful for me? Wat about embedded system departments in car companies ? They dont hav hardware but just develop the codes .. Will it b a good place to start the career in embedded systems ? Thanks For your comments it will be really helpful for the guys like me who are searching for the career in Embedded System But the thing is the Institutes for Embedded system was used to cheat people by assuring the job opportunities.How can one choose the best institute even if he doesn’t know about the system. Hello….sir,,, I finished BE in electronics in 2014 pass out. my cousin brother doing outsourcing in IT and programming side and web developer…so right now i am going to there from last 10 day. but i cant understand that what is going there….i think that one reason is that i am electronic student. other side my another cousin brother making electronic ckts and sell. he already works on programming on 8051,PIC etc…etc…. so if i learn frm him about electronic programming of different ICs and then i apply in comp. either it is consultant base or middle level comp. so can i will select their…..and what are the future scope for electronics enginner’s. plz help me to out frm this confusion. plz mail me ur answer. Hii, you have provided really good info, it helped a lot. I have a bachelor’s degree in Electrical Engineering ( not electrical and electronics engineering) can I peruse a career in embedded systems. I had introductory subjects on microprocessors , c programming. I have 3 yrs of experience in Java, But I would like to switch my career to Embedded System, For which I am planning to do masters in embedded systems.Please advise whether it is the right decision and How abt the job prospects after pursuing masters? I have 3 yrs of experience in Java, But I would like to switch my career to Embedded System, For which I am planning to do masters in embedded systems.Please advise whether it would be helpful? I am a B.Tech E.C.E 2011 pass out candidate. Its been years of my passion to work on embedded systems platform but due to issues could not focus and left out of that desire and started working in BPOs. Now I would like to pull up myself and want to join a course which I need to start from the scratch. My question is will it possible for me get into embedded systems company after a long gap? Kindly suggest me your opinions on it…..eagerly waiting. Sir I’m frm eee bck grnd nd thnkng to adopt fr embedded systems so is this is good in all the ways or not.pls need r this information urgently….thank you. hi friends, i have completed ME Applied Electronics in 2013. Got a job as assistant professor in a private college(in tamilnadu). I give my 100 percent for teaching. But around the corner i am no satisfied with the job which is not paying enough. So i decided to quit the job. Now its been some months i am looking for help to start over. Some suggests me to prepare for exams, Some to do courses, some to try a job in aboard, i don’t know how i get it without much experience other than teaching? Some even suggest to back for teaching!! Some to go for phd!! I need desperate help… What to do next??? Your really doing owesome sir God bless you. But I ‘ll be more greatful to see posts describing How to make a Simple Personal Microcontroller(uC). Thanks. sir i finished BE ECE &2014 passed out ,i am interested in embedded is there any chance to get job in this field without any certification courses, or needed any course to do?how can approach a company for job and on which city having high openings?what about chennai and coimbatour?if certification needed means which course can i do? Firstly thanks for giving us a valuable information about embedded system and this information is very useful to everyone and to me. Thankyou Sir. This was very helpfull. Please continue in posting related to Embedded Career. but i want to know in which line i get more job opportunity ?? can anybody guide me how to get companies in embedded robotics & automation..
i have completed B.TECH in ECE in 2014, and also completed 6month embedded robotics & automation course..
Hello sir…..I had completed B.E. ECE…..How can i choose my first company to opt myself into embedded system in future…………..Is it a little company with embedded basis???? Pls help me……. hai .. i completed my b.tech in ece ..and i got 65%percent and inter 87 and tenth 77 ….i am intrested to opt embedded systems training …..is it good to place and for my future ….i am intrested to join in vector for training …..is it good or ? sir i am placed in tcs on campus placement.but due to my keen interest…want to opt embedded as my career as i have made many embedded projects in my b.tech..now should i go to tcs and earn money easily as it is easy to have good pkg in it companies in short span of time or should go to cdac course and take placement from dere..my academic records are good….in short is future in embedded sys secure so that i leave tcs ??? This is chandan bhuyan , i have a 2nd class carrier can i wii get a job in embedded system please sir suggesr me. Sir i want to start a new company or industry based on embedded system can you give me some guidelines and what will be me output product. and how much of investment should i pay for it. I hv also have same kind of question, is it possible to open own bussiness based on embedded? Plz guide me abt product. This is srinidhi ms,I am bit confusion on my carrier path,i had joined a small scale industry after complition of my BE in E&C . But here i am working as an Embedded Black Box testing Engineer and Application Engineer. After 8 months i resigned my job and came out. But after that i am bit confusing and i joined Embedded system course.Again i got one more job as an Application engineer, but sir this is an distributor company. Here we are not doing any design or development.By mistake i joined here and one more reason is recession start on the same time.But now i am really tensioned about my future here.can you please guide me.How to built my carrier. i completed my B.E. in 2009 from ECE after it in oct.2009 i joined an industry as a service Engg in electronic field. after it in 2012 i had to leave that job due to some family problems and tried for GATE for 2 years but i couldn’t get success. now after having 2 years gap may i get entry in embedded system field ? pls reply me what i should do in this situation . i know 8051 and Keil “c”. hi shrivastava….hope! you can get enter into embedded system field any time u want….but it is essential for you to know some advance microcontrollers such as MSP430 (battery operated products mostly use this chip),ARM M3 cortex(LPC1768) and raspberry pi (hardware board Rs.2550 – this is used like cpu interacting with display through hdmi port….these boards you can purchase online….study about these boards on your own….do some good projects(as that of products) using these boards….lot of tutorial materials were available….last thing you have to be good in C, C++ and any one RTOS like (RTLinux, Vxworks,uCos…this may take time but at the end you can enjoy the fruit….. I have done BSc in computer science and MSc in Physics & Electronics. I am interested in coding and electronics as well. That’s why I want to do something in Embedded Systems. Would you suggest me to do M.Tech. from India or from abroad? And which institute. I am an ECE graduate passed out in 2013. presently,working as embedded developer in Tech mahindra from few months. I am in learning stage right now. working on MSP430 microcontrollers.Can you please suggest me the areas in which areas I should be strong and boost up my skills to be a good embedded engineer. Hi …i also want to do embedded systems course in vector India….pls tell it is having Good placement or not. I am mtech in DSP branch.. i wanna start my carrer in electronics field only.but being fresher i am not getting any job..is it required to do additional embedded course.. is there good oppurtunity after doing the course? what is the mininum % criteria?? hi,comlpet my B.E in 2014 i have very interested to started my own company in emmbeded system amd vlsi..i am very good skill about electronics..
how to start and what type of servecing we will give to the company..
can u pls suggest me..
Really good topic. Useful for freshers. I have Btech ECE 2013 degree with 60 % honors from JNTU university . I want to make my career in Core electronics . how to proceed pls give a sugistion sir. I have Btech ECE 2013 degree with 75 % honors from KUK university . I want to make my career in Core electronics as i feel electronics as something i am very good . I know 8051 , PIC microcontrollers and even AVRs to some extend as all of them seems to work on same basics with different configurations and architectures but almost same . But the problem is lack of experience and i am totally confused What to do 🙁 . PLease give me some hope … Which company should i go for ? Thank You..giving me such a brief intro about..wat embedded engineering and its future…i guess its valuable…i had a clear view on wat actually Embedded Career is!!!! Hello sir i m rohit sharma, irecently completed my m.tech in vlsi design from CDAC mohali but not getting job. i m thinking about embedded course. Can i get the job because M.Tech in VLSI Design. Plz suggest me i m very confused. you please let me know? Hi. who ever you are but i wanted to thank you because you provided me with that basic knowledge that i was looking for now-a-days because my engineering degree is about 1 year more. at the time it is enough and when i would have some question, i would must ask you! i am btec 2013 passed out fresher ECE.i am planning to do a course sine i dnt get any placements.there are two options 1)pg diploma in embedded sm in NIELIT calicut 2)IT Propel Training in Technopark.i am confused to chose bw these.will u help me? Hi… i’m Working as a software developer have 3yrs of exp. I want to switch to testing in embedded domain. Need guidelines please suggest. for me plz help anyone………. hi sir! i wanna ask that what all colleges do provide such education….i want to learn about embedded systems o is there any course about this…. The information you provided proves to be quite useful…. Is their a career opportunities in the field of embedded for diploma holdersâ€¦.? If not what are the further qualifications which i need to achieve? It was really helpfull for me. After graduation which courses I have to do to be good in Embedded systems? &where to join for this?Will you suggest me? sir thanks for the information…. Is their a career opportunities in the field of embedded for diploma holders….? i am pursuing m.tech 1st year in embedded systems. can you tell me the best embedded company’s. is there any embedded company’s provide some internships. Sir i am going to join in cdac for diploma in embedded systems…… Is this is the good institution or not… and how the opportunities after completion of this course.. The information that you are providing is really excellent and thank u very much sir. I am Jyothi studying B.Tech 3rd year ECE,2nd sem. I am very much interested in embedded systems. Now in our curricula 8085, 8051 and about ARM and SPI are there. In this article u said we should build our own way to learn about micro controllers other than curricula. So do I need to learn anything else in this semister other than curricula for better knowledge in embedded systems. Please suggest me sir……. I have completed Engineering in EC and am currently working with Service based MNC which is also sponsoring me with my MS in Embedded Systems from a very reputed Institute(BITS Pilani).Request you to let me know what are the languages that I can work on (I am pretty good with C and CPP concepts) and also what are the opportunituies that I am gonna get as after the successful completion of the course I will be 3.5 yrs experienced with IT industry but will still be a fresher in Embedded systems. Please drop an email:varun89ubey@gmail.com with your valuable comments or suggestions. Quick response of yours will definitely help me to make a valuable & Correct descision.Thanks in advance. hai iam pradeep studying final year btech in the stream of electronics and communications, and i have a knowledge on 8051 and 8086 and 8085 processors and controllers, but iam poor in programming languages like embedded C and advanced C and C++, so what type of decision should i take to enter into the embedded systems. The information you provided proves to be quite useful.I wanted to know that does the place or the name of company or the institute on the certificate matters?you suggested some long term courses in Banglore. . Will it be good if I do them in eastern India?Do you know of any good institutes or is Banglore the only choice for good training? sir my name is trinath am from b.tech(e.c.e) branch and nw i completed my first year in embedded systems specallization…my aim is to get a good job ib big embedded system based company like samsung nt only now bt in future bcz am fresher now…so what i have to do in this project time i.e 2nr yr in m.tech to reach my goal???? We are providing the course PG Diploma in Automotive Embedded Systems Design. The aim of the training is to fulfill the gap between the academic training and industry expectations from embedded manpower. Automotive controllers: 16 bit controllers like MSP430, HCS12 series and 32 bit series like C2000 series. Â· Highly equipped labs with all necessary software’s & hardware setups. Â· There is no any entrance exam. You can enroll directly to our office. Please feel free to contact us if have any queries. FC Road, Pune : 411 005. 1.house appliance fan is system or not? how? 2.is embedded system is dedicated for single task? 3.embedded system performs single task at a time? 4.many people suggested me learn about micro controllers and some one said me both controllers and microprocessor combine called embedded systems? 5.what is meant by embedded processor?is microprocessor belongs to that category? to go embedded system. what skills i need to develop..
hai its me himadri from TRIPURA GOVT ENGG COLLEGE.ece 3rd year…i am working with avr and arduino microcontroller for the last 8 months.. some robots also made…i am very interested in making my career in embeded systems..but i am unknown of what is a product company and what is a consultant company.. please sujjest..and name some ggood training institutes of embedded system at mumbai..
Hi, am presently working in IT company,i want to make a switch in my career to embedded system. is it possible.? @Sameer, It depends highly on your skill sets in C programming, sound knowledge in concepts of electronics etc. If you are that passionate about embedded systems, then I think, you may not worry much about the level of knowledge now. You can learn a lot on the job! Sound knowledge in C programming is an essential to crack the job interview. Depends highly on your interests! Since you learned ECE, it doesnt mean you have to work on some electronics companies. If you have passion for coding, software companies are much better to enhance your skills. Embedded Systems career also have great opportunities for becoming a good programmer in C,assembly languages etc. You choose the job profile based on the “learning experience” it can offer you. Hello JOJO first of all my gratitude for u towards the splendid work u did, i am a recent graduate planning to do embedded system course , and about me i am not so good in programming language like C. i need career counsel whether should i start r not ? if started, what will be my role if i join a company? I have planned to join VECTOR instiyute in banglore is it worthy to join ? Dont much worry about programming skills. It is something you can master with experience. The only way to learn programming is by writing more and more programs. You may buy a good book on C (E.Balaguruswamys books are good) and start learning! that’s it! Start learning now! I Hardik Gohil completed M-tech in Embedded System design collaboration with C-DAC,pune. Now,i am in search of job.can you give me some tips,presently i am searching in hyderabad. which city has more number of jobs in Embedded systems. I cant recommend you any particular location perfectly. Bangalore may be a good choice. Mumbai is also. As you(JOJO)mentioned earlier that there are different training centers for Embedded system course. Sir, I want to Know some good name of such Institutes, Actually you gave the Name of Cities like Bengaluru, Chennai, Pune etc. Actually I am from West Bengal, Whenever i searched about these type institutes, Most of them have complaint against their training facility and Placements too on Consumercomplaints.com. Please suggest me few good institutes which have good facility of training with placements. you can mail me on my personal mail ID dhirajkumarsingh1946@gmail.com . Note: In my opinion dont much worry about one or two negative opinions in consumer complaint websites. In most cases, they will be fake. In some other cases it can be a “one in a hundred failure” of the institute. I am placed in wipro VLSI, but due to lack of projects they are shifting us to embedded systems domain. Will it be good to shifted or wait for vlsi joining date. ?? I dont know about wipro’s embedded domain. So please help me out. should i prefer embedded over vlsi or continue with vlsi. I am a BE (E&C) graduate and also have diploma in E&C before BE. I think Wipros embedded division is good enough for starting career in “Embedded Systems”. If you dont have any other offers from other companies (in VLSI domain), I would say “Go Ahead”! The choice is yours! I am currently working in Mahindra satyam.I just completed my freshers training in JAVA domain here.Now i m getting a chance of working in embeded system in Mahindra Satyam.But as per my knowledge the infrastructure in embeded in my company is not so well. So should i join embeded system or just wait to get a project in JAVA. my branch in B.tech is Electronics and Telecommunicion. You should join robotics, embeded system, institute .and you will get solution of your problem. This is very help full for me. sir, thanks for such guidance. I am preparing for design of embedded system and i want to make carrier in that, so give me more guidance about can i improve myself to become an company designer engg. i love electronics and this post made me confident in building my career in this stream. thank you very much…may i know other product based companies..? Sir., the information u have provided is very much useful.. Thanks for explanation….. u told do 3-6 months course after graduation… im in india (tamil nadu)…where can i do in best way? You can Google for some good institutes in Chennai. I am engineering 3rd year student, EC branch , Till now I am just having a basic idea about transistors and of mosfets nothing, we are having microcontrollers the following semester, I am sure of not getting a practical knowledge in our college ,but can have a theorical one through library, can you suggest what are the topics i can cover along with microcontrollers or in microcontrollers in these 3 months? And what about the software, is embedded c similar to c ? knowledge) for a starter in tutorial section. SOLLUTIONS .Before going to microcontroller you need to learn C well. extraordinary C skills are required for Embedded Systems. @nitin: Kindly avoid comments in hindi, Everyone cant understand hindi. I have seen in many job portal , for embedded system they need experience …. but what can i do as a fresher…. there is no job opening in embedded hardware in pune mumbai. only embedded software related jobs are available…. software me jana hai to yahi kyu? other bhi bahut options hai !!!! embedded software engg fresher salaty start from 8,000RS to 10,000RS…to matlab nahi banta ye karke!!!!!! Thank you very much for giving a such information…. come one step ahead and tell what consulting companies do and what product based companies do. Also, tell what audio visual, toys and many many micro controller based companies do with these embedded systems. Also, tell what to know about embedding the C or java scripts into the electronic memories, and how. Tell also how much a starter in these areas get. That may be something good about your discussion of career in embedded systems. Go ahead and all the best to all your readers. embedding software is the bridge between electronics and software industries. @ Hari Hara Prasad – Infact it is quiet complex! It is really difficult to explain all these in a single article. 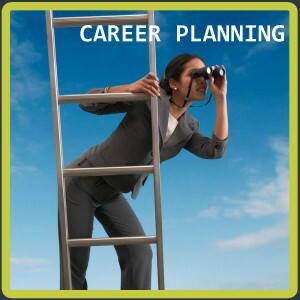 I will try my best to come up with useful article for students (career oriented). @Abdul – Ya. I am working on that article. Nice Explanation. I’m interested in Embedded Systems as my career. But I have no idea about which institute to join after my graduation. Please provide me detailed information. @Uday – I think there are really good institutes in Bangalore and Hyderabad. Pune and Mumbai are also good option. I cant name them individually! You do a good research. Ask previous students and seniors – they will guide you. It,s really a superb articles on embedded system. Its an Awesome Explanation towards guiding me about my career !!! Very good reference & guidence .But how to become an entrepreneur in emdedded & control engineering ?? Please tell me sir..
@yogesh, the way to becoming an entreprenuer is not, in my opinion, going to happen by gaining a job. It was my intention to become one all my life, and getting a job forced me into an employee mentality. That is deadly to becoming an entrepreneur. The way to become an entreprenuer is to look for a solution to a human need and solve it. Dont box yourself into embedded when doing so, this will only add an artificial constraint on your thinking. Read these essays: http://paulgraham.com/articles.html Good Luck!